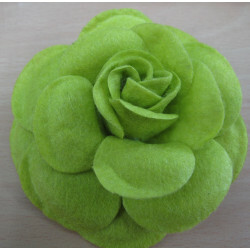 Felt Flowers There are 3 products. 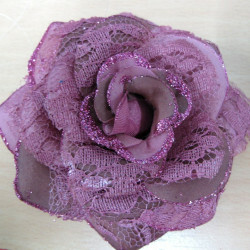 Dark dusky pink lacy flower. 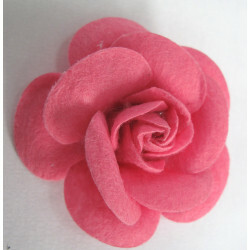 FF1230 - Dark dusky pink lacy flower. These have a pretty vintage look, with a little lace and sparkle. Approx 95mm.